We are about to start 2017 this week (majority of companies are back to regular working schedule), and are quite excited about this year. How did 2016 treat us? What were the major milestone events in the diamond investment sector that made 2016 stand out from previous years? All in all, we have at least 8 fancy color diamonds that broke various price records. Considering that the major Auction events took place in Geneva, Hong Kong, and New York, this means that on average, every auction event had a record breaking price. What were some of the major world records and prominent fancy color diamonds that took center stage? Each of the record setting diamond had something unique about it. For example, there was only a single Fancy Vivid Green that sold at auction this year, and that was the Aurora Green Diamond. 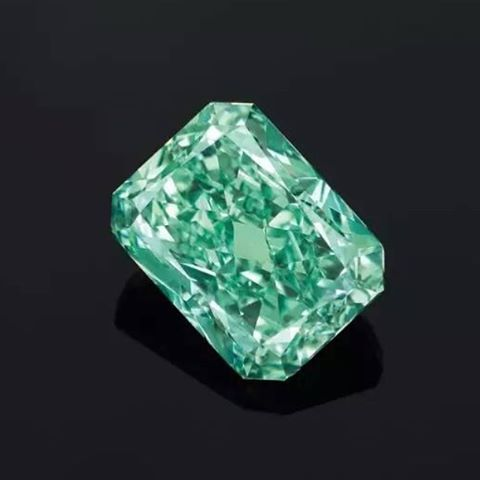 It is a 5.03 carat Fancy Vivid Green radiant shaped cut cornered diamond and the largest vivid green diamond to ever be sold at auction. It was sold by Scarselli in New York for $3.3 million per carat to Chow Tai Fook via the Christie’s auction house in Hong Kong. 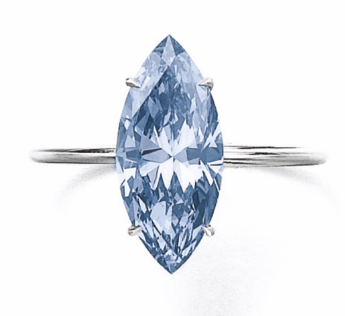 The 4.29 carat Fancy Vivid Blue IF diamond that was sold by Moussaieff at Christie’s in Hong Kong, broke the record prices for its 3-5 carat size category. It set the record for a total price paid for a 3-5 carat diamond and price per carat paid for a 3-5 carat diamond. It was a marquise shape and Internally Flawless which certainly added to its beauty and subsequent value. It sold for a record $11.8 million total or $2.756 million per carat. Another fabulous marquise shaped Fancy Vivid Blue diamond that broke a record was the 2.31 carat diamond that was sold by Sotheby’s Geneva. It sold for $2.886 million or $1.249 million per carat, setting the record for its 1-2 carat size cateogry. 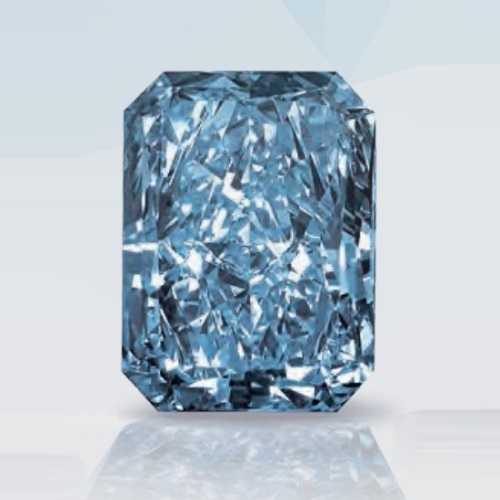 The largest Fancy Intense Blue Diamond ever to be offered at auction was sold by Christie’s as well. It was the 24.18 carat Fancy Intense Blue “Cullinan Dream” diamond, so named after its mine of origin. 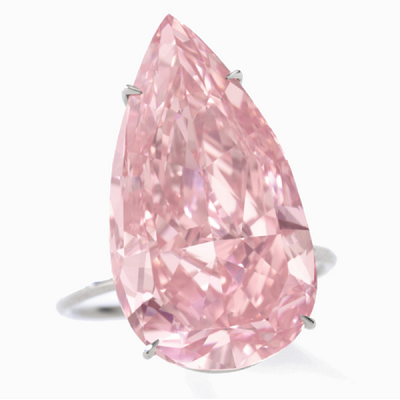 It set several records when it sold for a total $25.365 million or $1.05 million per carat. 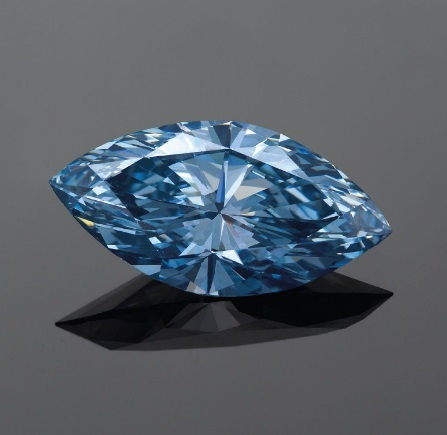 Christie’s was certainly lucky this year that it got to sell both the largest Fancy Vivid Blue and the largest Fancy Intense Blue diamonds ever! 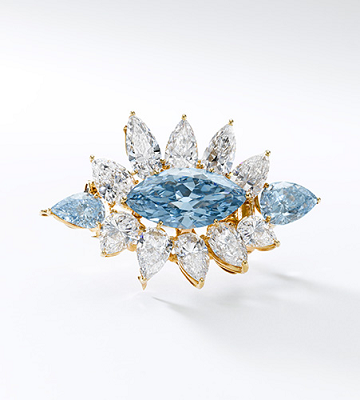 Another fantastic blue diamond sold in Geneva by Sotheby’s, was the 6.64 carat Fancy Intense Blue marquise shaped diamond that had a 1.01 carat blue diamond and a 2.01 carat blue diamond on its sides set as a brooch by Alexandre Reza. It sold for a total of $13.67 million, or $1.4 million per carat on average (for all 3 stones at a total of 9.66 carats). Who can forget the famous 1.74 carat Fancy Intense Blue round brilliant diamond, that broke the record that no news outlet caught, simply because it was a small diamond. 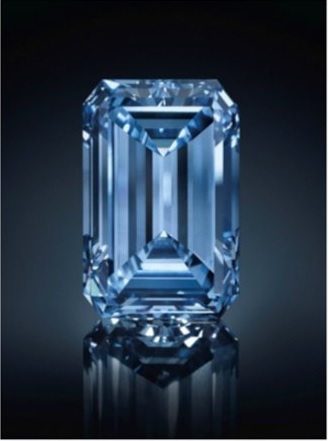 At that time, it was sold at a Christie’s New York auction for $1.925 million or $1.1 million per carat, the highest for a Fancy Intense Blue diamond at that time. The most exciting pink diamond sale of the year was the “Unique Pink”, a 15.38 carat Fancy Vivid Pink diamond that was sold in Geneva by Sotheby’s for a record price $31.56 million or $2.05 million per carat. 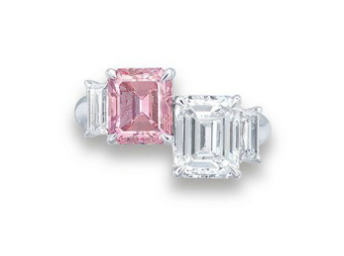 It became the most expensive pink diamond that has ever sold. A little known 2.13 carat Fancy Intense Pink diamond was sold for $552k or $259k per carat, breaking a new record in its 2-3 carat size category. It was sold at a Christie’s Hong Kong auction as part of a ring together with a similarly sized and cut colorless diamond. The second largest Fancy Pink diamond ever to be offered at auction broke a record as well when it sold at Christie’s Geneva. 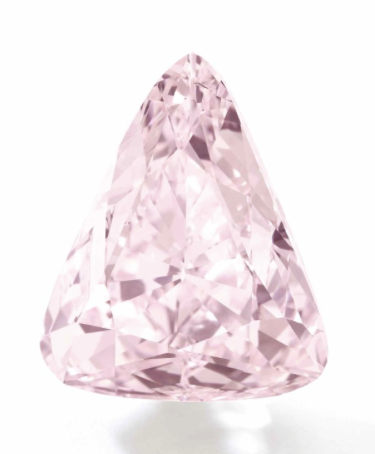 The 18.51 carat diamond sold for $9.77 million or $528k per carat, both prices making records for a Fancy Pink diamond. Many other unique fancy color diamonds were sold at auction at incredible high prices, althouogh their prices did not necessarily break records. Why are they being sold at auction and earning so much money? Simply because of rarity. We know that the 2016 Argyle collection, the rarest diamonds of them all, were sold at record prices in its over 30-year history. These 10 diamonds made incredible historic prices. 2016 may have been a tough year for colorless diamonds, but for fancy color diamonds it was the complete opposite! As we move forward into 2017, I believe many great pieces that have never been seen before will come up at auction. Investors’ appetites for unique items will not stop, due to the rarity of these diamonds and their sheer beauty. We will continue to attend the auctions across the globe and will be reporting new records as they unfold. Got any questions about diamond auctions or what makes a diamond an investment diamond? Ask!